Anyway, with a new van comes the need for a new trailer hitch, mostly for bike racks, but for the occasional light towing. 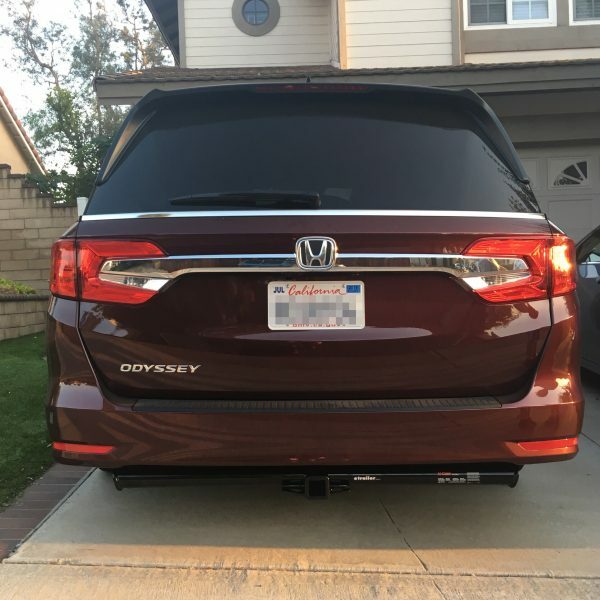 Since I did the hitch install myself on my Sienna, I figured I’d do the same for the Odyssey, saving a ton over dealer installation. I started off by going to eTrailer.com to look at the various options for my vehicle. 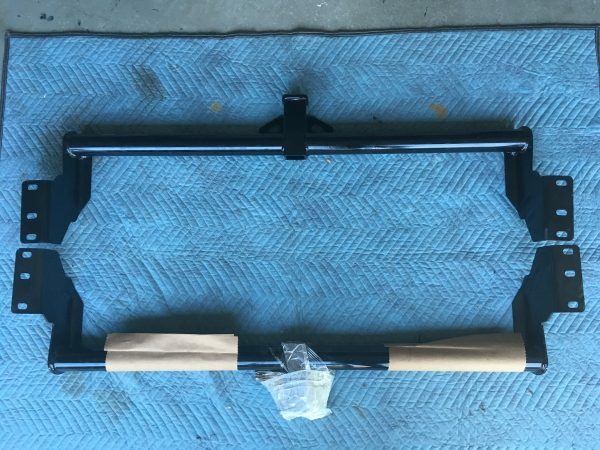 The Draw Tite 76170 looked the best, as the crossbar was hidden, but it had a 10 out of 10 difficultly rating for installation, since bumper removal and cutting is required. That left the Draw Tite 76171 and the Curt 13370. Believe it or not, those two actually have better ground clearance than the Draw Tite 76170. I had good experience with the Curt on the Sienna, so I decided to go with the Curt C13370. 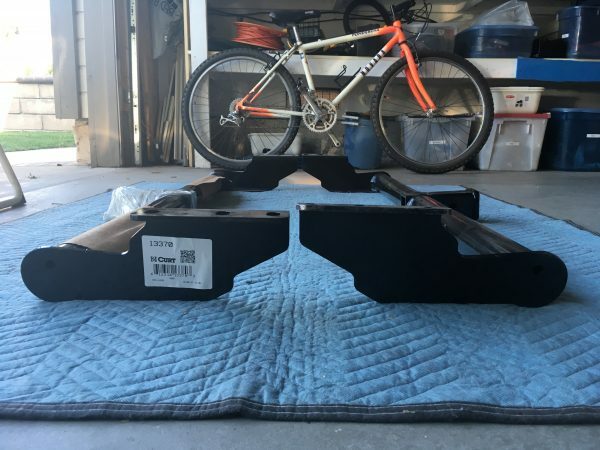 Unfortunately, when the new hitch arrived, the box was pretty beat up, though the hitch still looked functional. However, to my surprise, my wife and I couldn’t install it ourselves! Out of frustration, I took it to my local mechanic, and he couldn’t even install it, he confirmed it was an inch too short between the flanges. I called up eTrailer.com and they sent a replacement. Below is a photo of the old and new hitches, the old one is on the top, the new one is on the bottom. Note that the flanges are indeed further apart on the new one. Another view of the two hitches, with the new one on the left, and the old one on the right. 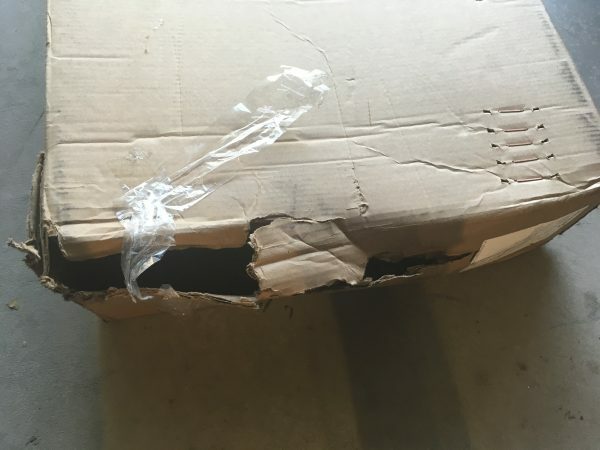 I don’t know whether the flanges were bent in shipping, or if it was a manufacturing defect. Anyway, my wife and I were able to install the new one in less than 15 minutes. Here is what it looks like installed. I also ordered a wiring harness to pull a trailer. 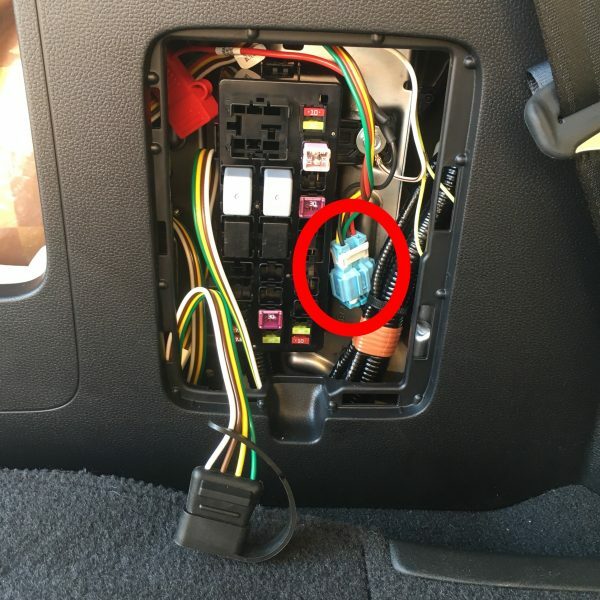 The harness conveniently plugs into the blue connector in the rear fuse box. Since I only plan on occasional towing, rather than pull out a bunch of side panels to route the wiring over to the hitch, I just stuffed the whole wiring assembly into the fuse box, and I can just run it under the rear door when needed. Total install time was less than five minutes. 15 minute install! Gotta love that.